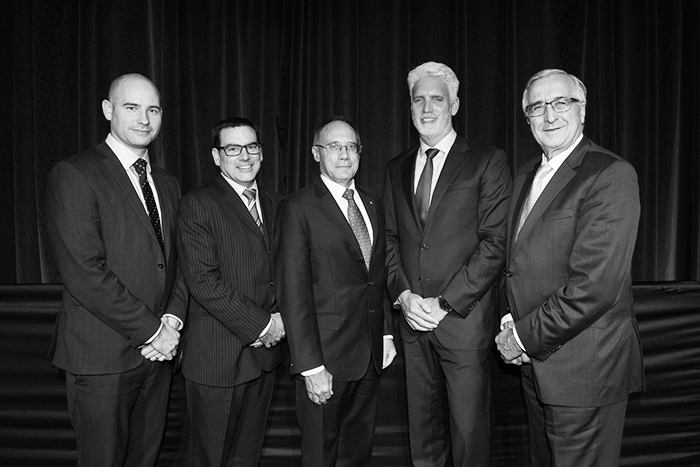 Leaders from across the national infrastructure sector gathered at last night’s Annual Infrastructure Oration and 2018 National Infrastructure Awards gala dinner, held in Melbourne. 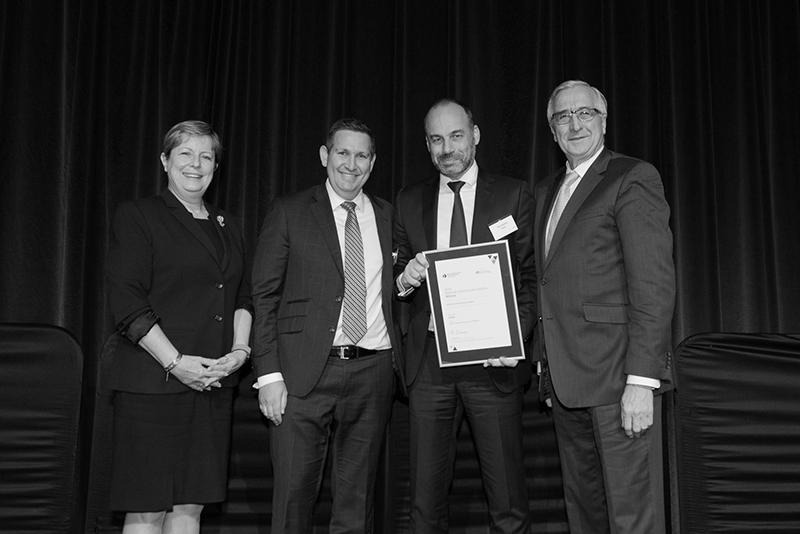 The prestigious Project of the Year was awarded to RPS Advisory Services, Clayton Utz, AECOM, EY, the Victorian Department of Justice & Regulation and the GEO Consortium comprised of: Capella Capital, GEO Group Australia, John Holland and Honeywell, for the Ravenhall Prison Project. NSW Ports’ Chief Executive, Marika Calfas, was awarded the Women’s Achievement in Infrastructure Award, and Chloe Munro AO was awarded the Chairman’s Prize for her service to Australia’s infrastructure sector over many years. As with previous years, the National Infrastructure Awards were decided by an independent Judging Panel, chaired this year by Leilani Frew, Chief Executive Officer, Infrastructure and Project Financing Agency. David Webster | Deputy Secretary, Commercial Division, Victorian Department of Treasury and Finance. Australia’s Infrastructure Project of the Year was awarded to Ravenhall Prison Project, the first privately delivered prison project in Victoria in 20 years, which commenced operations in November 2017. In choosing Ravenhall Prison Project, the Judging Panel recognised that despite the complexities of delivering a Public Private Partnership (PPP) of this size, the project proponents achieved construction and project management excellence in delivering the project on-budget and on-time. It was further recognised that the Ravenhall Prison Project represents a significant evolution in the provision of pre and post-release support provided to individuals who interact with Victoria’s justice system, which will lead to better community outcomes. The Ravenhall Prison Project stands as a testament to what can be delivered when the public and private sectors come together in a collaborative way, working for the betterment of the community. Former winners of the Project of the Year include: International Convention Centre Sydney (ICC Sydney), Barangaroo Reserve, Legacy Way, Regional Rail Link, NSW budget reform process including the refinancing of Sydney Desalination Plant, the New Royal Children’s Hospital in Victoria and the Gateway Upgrade Project. Aurecon, Queensland Department of Health, The Exemplar Health Consortium comprised of: Capella Capital, Lendlease, Siemens and Spotless​. Clayton Utz, Herbert Smith Freehills, MinterEllison, PwC, the Western Australian Government​ and The Westadium Consortium comprised of: Aberdeen Standard Investments, Brookfield Global Integrated Solutions, John Laing and Multiplex Engineering. 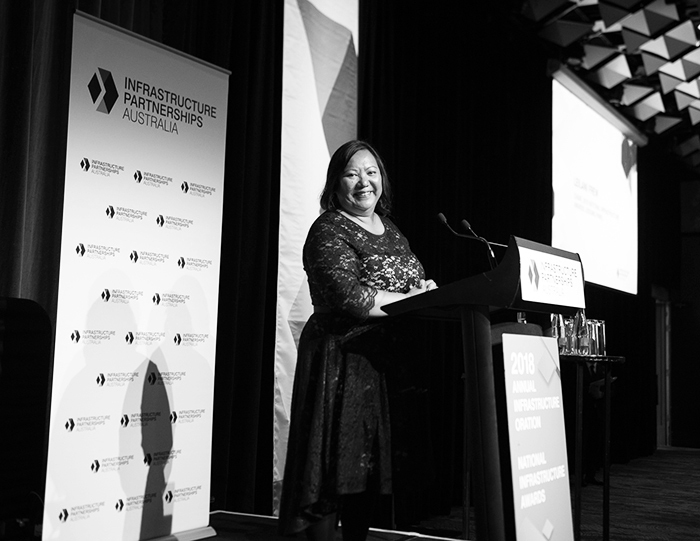 The 2018 Women’s Achievement in Infrastructure Award was presented to Ms Marika Calfas, Chief Executive Officer, NSW Ports. Ms Calfas was recognised by the Judging Panel for her substantial contribution to the ports sector over a long and distinguished career. Most recently, Ms Calfas led the development of NSW Ports’ 30 Year Master Plan, was involved in the design and delivery of the $1 billion port expansion development at Port Botany and made a substantial contribution to the National Freight and Supply Chain Strategy Inquiry (which handed its final report down last week). Ms Calfas joins a distinguished list of previous winners, including An Nguyen, Leilani Frew, Thao Oakey and Kerrie Mather. The Chairman’s Prize is a special category that is not awarded every year. 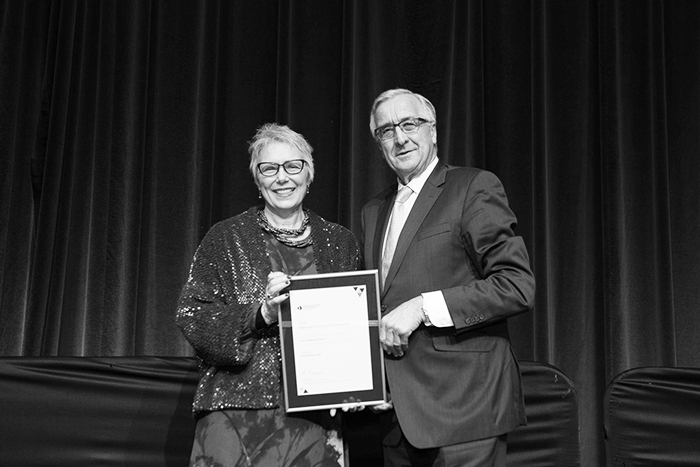 This year the Chairman’s Prize was presented to Ms Chloe Munro AO, Independent Chair, Australian Energy Market Operator (AEMO) Expert Panel for her ongoing contribution to the infrastructure sector. Ms Munro has shown commitment and dedication to the infrastructure sector over a number of years, including most recently as Chair of the Clean Energy Regulator and as a member of the Finkel Review Panel. Ms Munro has served the sector with distinction throughout her whole career, which has spanned across the energy, telecommunications and water sectors in both public and private roles. 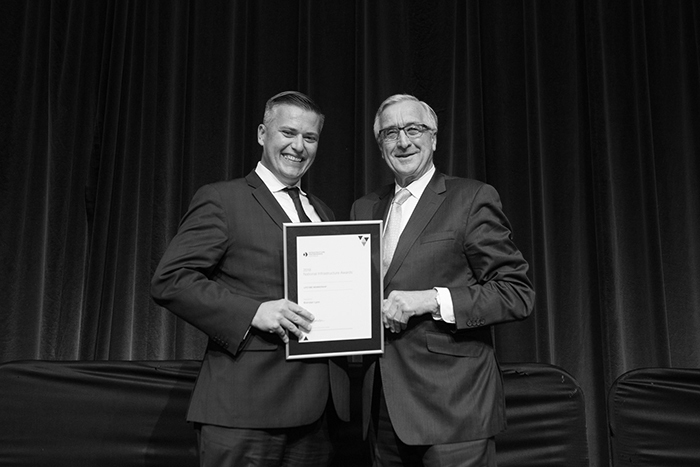 The Lifetime Membership Award was presented to Mr Brendan Lyon, recognising his substantial dedication and contribution to Infrastructure Partnerships Australia and the broader infrastructure sector. Mr Lyon received the award for his work across 12 years at IPA in driving policy reform at all levels of government and substantially enhancing IPA’s policy capability. 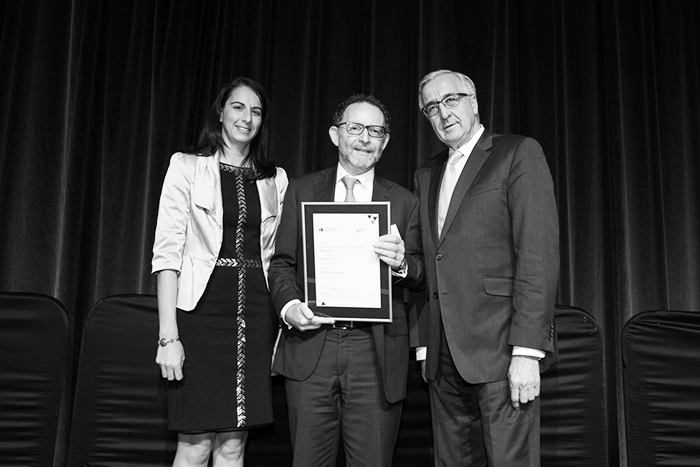 He was also recognised for his efforts in leading Infrastructure Partnerships Australia from a small start-up, into one of Australia’s most respected and successful public policy organisations. The $630 million new Bendigo Hospital was presented the award for Contractor Excellence this year. It is the largest regional hospital development in Victoria’s history, and one of the largest hospital projects in Australia. The project was delivered as a Public Private Partnership (PPP), with the Exemplar Health consortium providing a range of facilities management services under a 25 year concession. The new hospital is more than double the size of the existing facility, and has the capacity for 372 inpatient beds, 11 new operating theatres, a cancer centre, four radiation therapy bunkers, and an 80-bed integrated psychiatry unit. Strong collaborative relationships between the public and private sectors have delivered a number of positive outcomes for the hospital, which reached technical completion one month ahead of schedule. The consortium also prevented issues escalating to legal engagement. The project has attracted strong public support from clinicians, patients and other stakeholders. In choosing Bendigo Hospital, the Judging Panel recognised the whole-of-life focus Lendlease brought to constructing the hospital, as well as the proven quality of construction which has been praised by clinicians and hospital users. The Nonlinear Channel Optimisation Simulator (NCOS) Online, developed by the Port of Brisbane and DHI Australia, is an innovative software solution that provides a detailed forecast of a vessel’s under keel clearances (UKC) based on channel depth, weather conditions and vessel configurations. The software has allowed the Port of Brisbane to receive larger vessels while reducing dredging requirements along its 90 kilometre channel, and improved operational and safety outcomes for shipping customers. In the first six months of operation, the Port of Brisbane doubled the number of bulk carriers departing with a draft greater than 14 metres, and achieved a 167 per cent increase in container ships with a draft greater than 13 metres. The Judging Panel chose to award NCOS Online as it is an outstanding example of smart infrastructure, recognising that this project is the first of its kind globally, and it has delivered a high rate of return on a relatively modest capital investment. 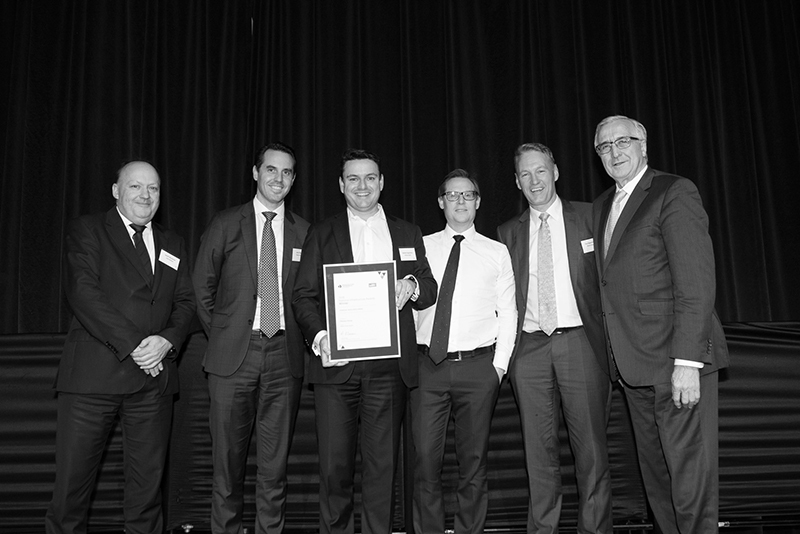 This year saw the MR4 Melbourne Rail Franchise Project win the award for Operator and Service Provider Excellence. The project involved the refranchising of Melbourne’s metropolitan rail service to the Metro Melbourne Trains consortium for a further seven year term, recognising that while they operated the network between 2009 and 2017, every key metric of the railway improved. The new contract focuses on improvements to operation and service levels across eight different business streams including infrastructure, railway operations, assets, control systems, projects, and innovation. The new contract also saw the introduction of tougher performance metrics for each of the identified areas across the contract period. The new agreement will result in over 2,000 extra services being added to the network as well as better utilisation of data and technology to improve operations and the customer experience on the network. 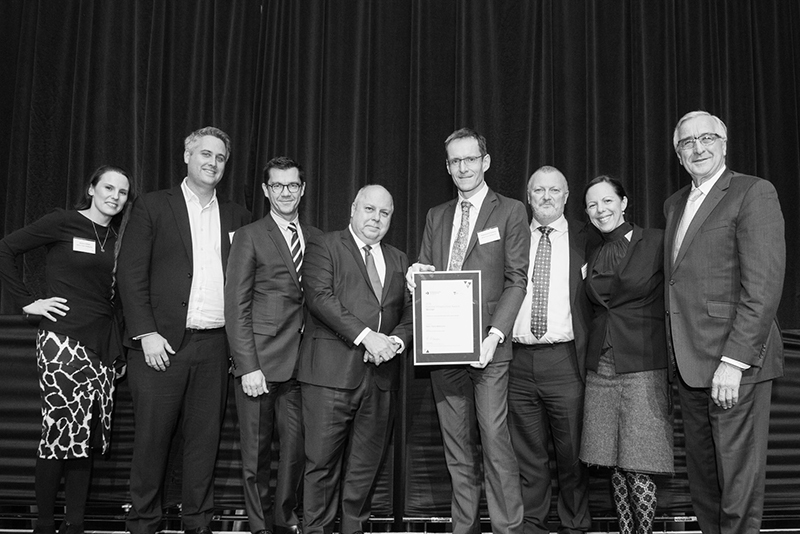 The MR4 Melbourne Rail Franchise Project was chosen because the Judging Panel recognised the high degree of public and private sector collaboration across a range of metrics, with all parties focused on measuring and delivering improved service outcomes. 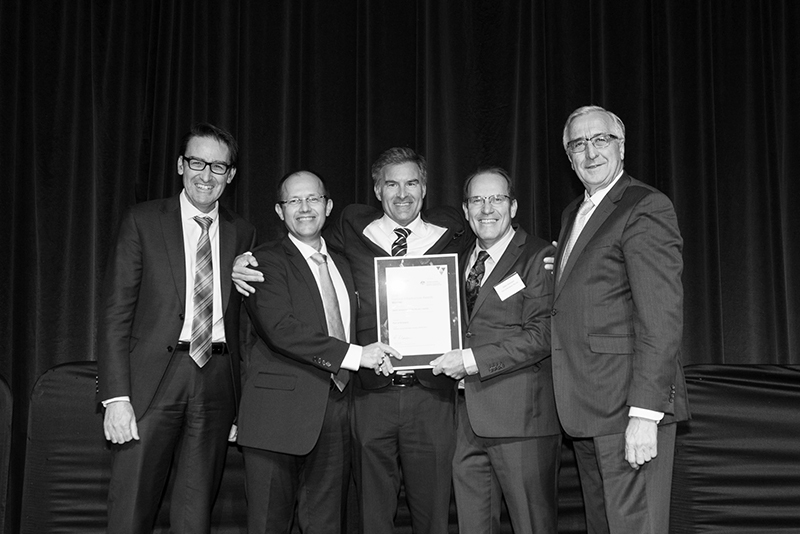 The $420 million Gold Coast Light Rail Stage 2 project was awarded the Government Partnerships Excellence Award. The project is a 7.3 kilometre extension of the existing G:link light rail system. Stage 2 links the light rail system to Queensland’s heavy rail network at Helensvale Station, providing a one-transfer journey between the Gold Coast and Brisbane. Gold Coast Light Rail Stage 2 saw the expansion of an already operational Public Private Partnership (PPP). To manage these challenges, the public and private sectors had to introduce innovative structuring and contractual arrangements. This ensured appropriate separation of the Stage 1 operations from the construction phase of Stage 2, with both stages then combining into an integrated expanded network at Stage 2 completion. The Queensland Department of Transport and Main Roads successfully managed the interface issues between the operating G:link system and the Stage 2 construction, which was critical to ensuring the extension would be commissioned ahead of the 2018 Commonwealth Games, without interrupting existing passenger services. The Judging Panel awarded the Gold Coast Light Rail Stage 2 extension due to the project’s unique procurement process, led by the GoldLinQ Consortium in partnership with the Queensland Government. The project was completed in a relatively short timeframe for a PPP, and the Judging Panel also recognised the success of the project proponents in managing the complex contractual and operating environment across three levels of government. 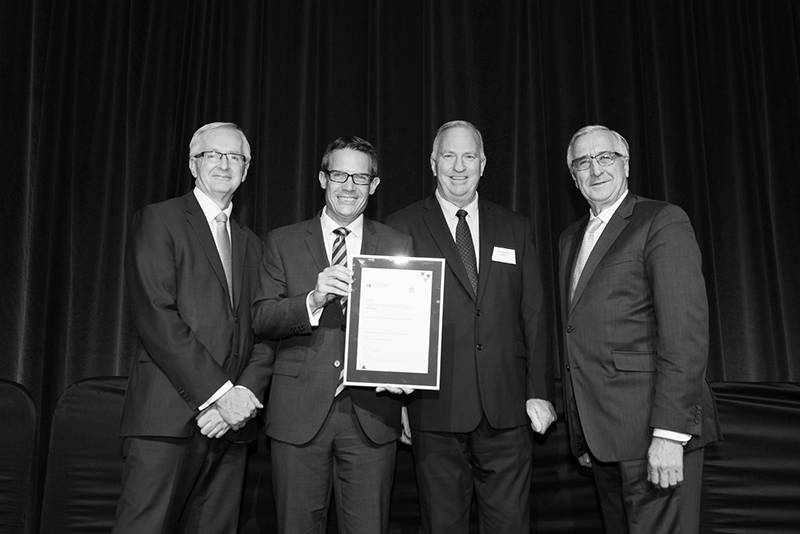 The award for Financial Excellence was presented this year to the $1.8 billion Western Roads Upgrade in Victoria. The project is the largest single investment in arterial roads, includes upgrading eight high-priority arterial roads, congested intersections, and almost 30 kilometres of road widening and lane duplication across Melbourne’s western suburbs. The Netflow Western Roads Upgrade consortium was awarded the availability-based Public Private Partnership (PPP) to design, build, finance and maintain the project for 20 years post-completion. The project will address existing congestion challenges and enable the outer suburban arterial road network to support rapid population growth in Melbourne’s west. The contract also includes a comprehensive 20-year road rehabilitation, maintenance and lifecycle programme, covering more than 260 kilometres of new and existing roads across Melbourne’s west. The Judging Panel chose to award this project because of the innovative development and adoption of a hybrid financing solution for the PPP. The project is around 60 per cent long-term finance and 40 per cent short term-finance, which may be refinanced by the project company or paid out under a State contribution. Additionally, the procurement process for the project concluded swiftly, with just 13 months between the release of invitations for Expressions of Interest and financial close. 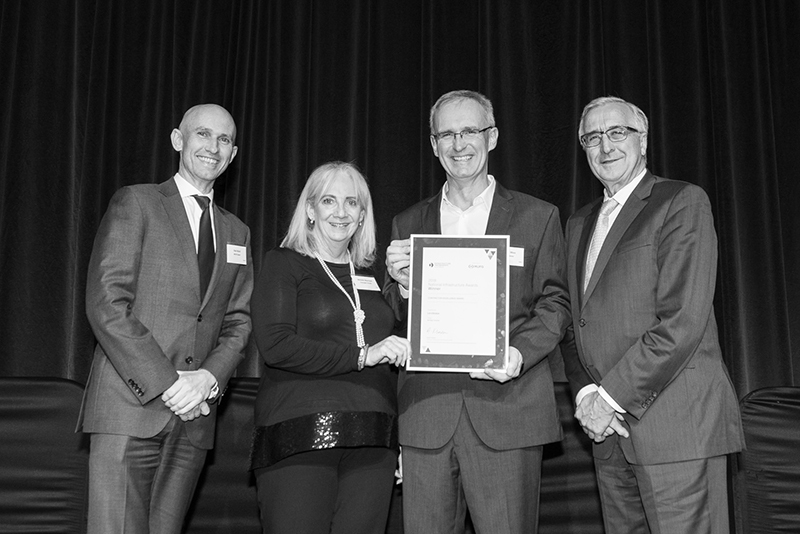 The Advisory Excellence Award was presented to BaptistCare this year for its work on the Social and Affordable Housing Fund (SAHF). BaptistCare was awarded a contract in 2017 to deliver housing and tailored support services under the NSW Government’s SAHF for a period of 25 years. KPMG and Corrs Chambers Westgarth advised BaptistCare on its successful bid to the NSW Government for the construction, asset management and tenancy management of 500 social and affordable dwellings in eight metropolitan and regional locations across NSW. KPMG provided a range of advisory services to deliver an end-to-end solution for BaptistCare’s commercial offer to the NSW Government. These included financial, commercial, real estate, taxation and strategy advice, while Corrs Chambers Westgarth provided legal advice and documentation to take the transaction to contractual close. The bid included a simplified financial and administrative structure which integrated the new social and affordable dwellings with existing aged care assets in BaptistCare’s wider portfolio. This approach lowered administrative burdens and secured borrowings for the project by utilising assets outside of the SAHF project asset pool. 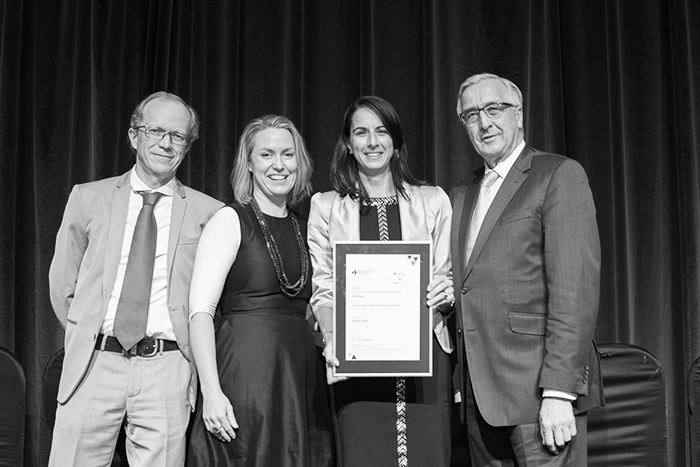 The Judging Panel awarded KPMG and Corrs Chambers Westgarth for the Advisory Excellence Award because of their leadership and collaboration with the NSW Government to improve services for vulnerable communities in a complex policy environment.